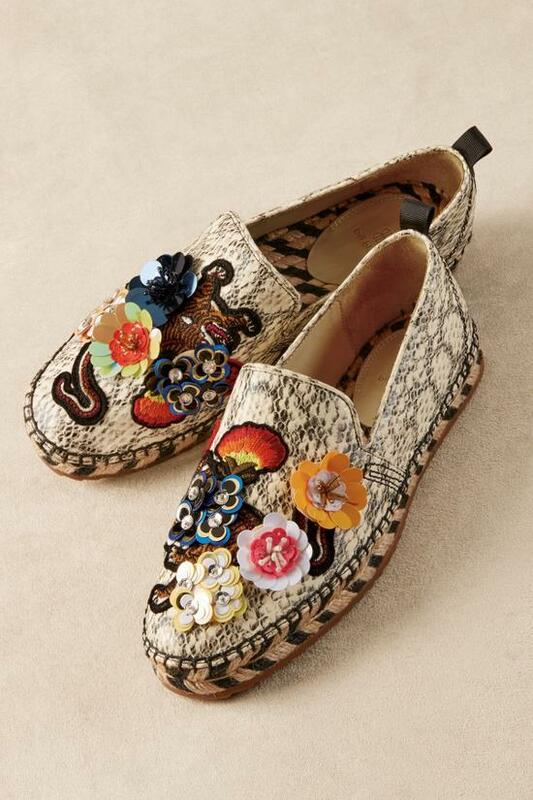 Liven up every step with these extravagant serpentine-embossed leather espadrilles from Bill Blass, adorned with sculptural hand-sewn beaded flowers and bright embroidered appliqués. No two shoes are alike. Styled with a comfortable leather lining, herringbone jute outsole and rubber sole. Flat heel.